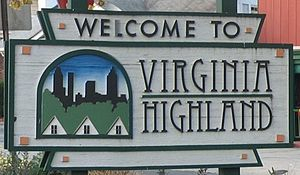 The Virginia-Highland Civic Association’s annual meeting and election of board of directors will be held Thursday September 19th in the Inman Middle School cafeteria, starting at 6:30 PM. 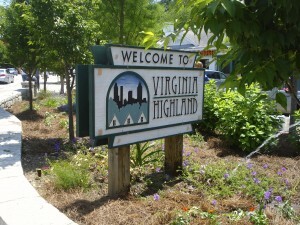 The VHCA board consists of ten members and one alternate who are elected to one-year terms by residents at the annual meeting. There’s also an ‘Atkins Park designee’ board member who is chosen by the Atkins Park Homeowners Association prior to the annual meeting. The alternate member has historically functioned as a full board member, but formally votes only if another member is not present. The VaHi resident getting the fewest votes of the top eleven residents receiving votes in the election serves as the alternate member. Our neighborhood thrives because of a high level of volunteer involvement by residents in a variety of areas. The framework for much of this volunteerism is provided through VHCA’s committees: Budget, Fundraising (Summerfest, Tour of Homes), Planning, Preservation and History, Parks, Safety, Education and Communications. Please visit https://vahi.org/inside-vhca/committees-and-chairs/ for a complete list of the association’s committees, their areas of responsibility and their current chairs/members. A list of those serving on the 2012-13 VHCA board and their contact information is at https://vahi.org/inside-vhca/board-members/. Any of these board members would be glad to talk with you about the responsibilities and time commitments associated with board service and will be glad to answer any questions you may have. Many citizens reach the board after serving on a committee, but this is not a specific requirement for running. If you’d like to run for a seat on the board, please send an email to communications@vahi.org with your name, contact info, a short bio, and a few comments on how and why you’d like to get involved. A list of all residents running for the board with brief bios will be published on vahi.org and included in The Voice e-newsletter prior to the September 19 annual meeting. We encourage all VaHi residents to attend the annual meeting and make your voice heard. (Please be sure to bring your ID or recent utility bill in your name as proof of residency). The more residents we have at the meeting, the more the VHCA’s 2013-14 leadership will reflect the collective thoughts and goals of our community. We look forward to hearing from you and seeing you at our annual meeting in September. Following is the tentative agenda for tonight’s annual/general meeting of the Virginia-Highland Civic Association.